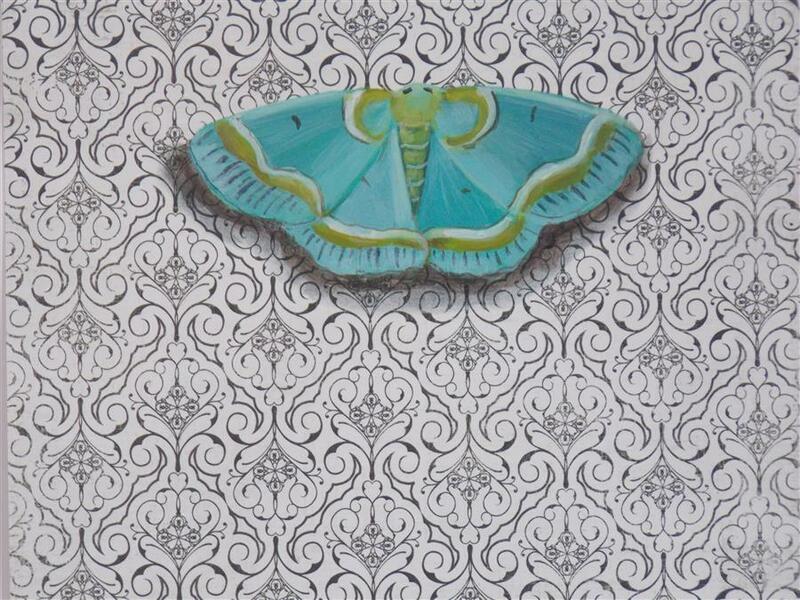 This delicate, lovely moth pairs well with the intricate filigree of the patterned paper. 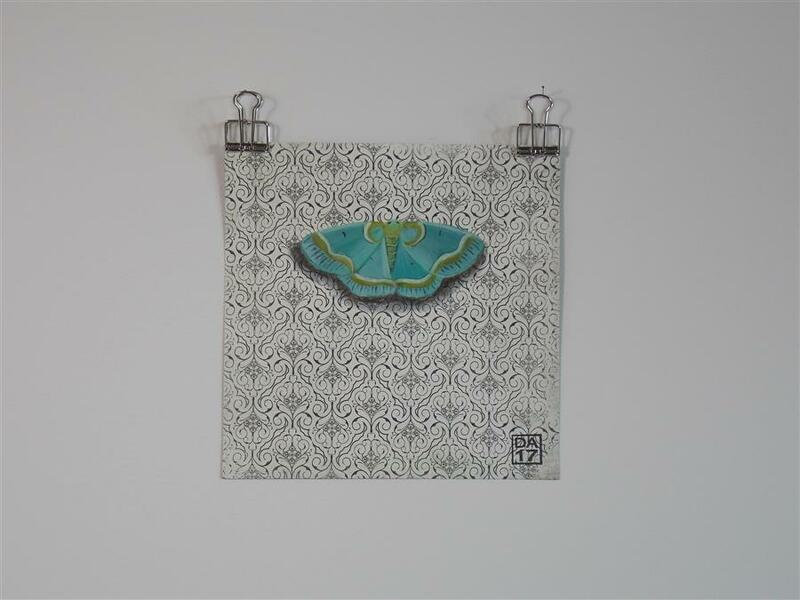 I love turquoise and this moth is a little gem. 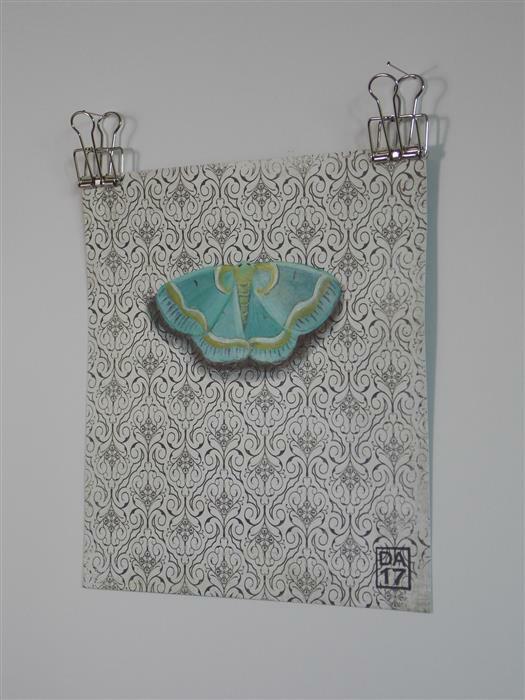 The moth is painted in acrylics directly onto a patterned paper. 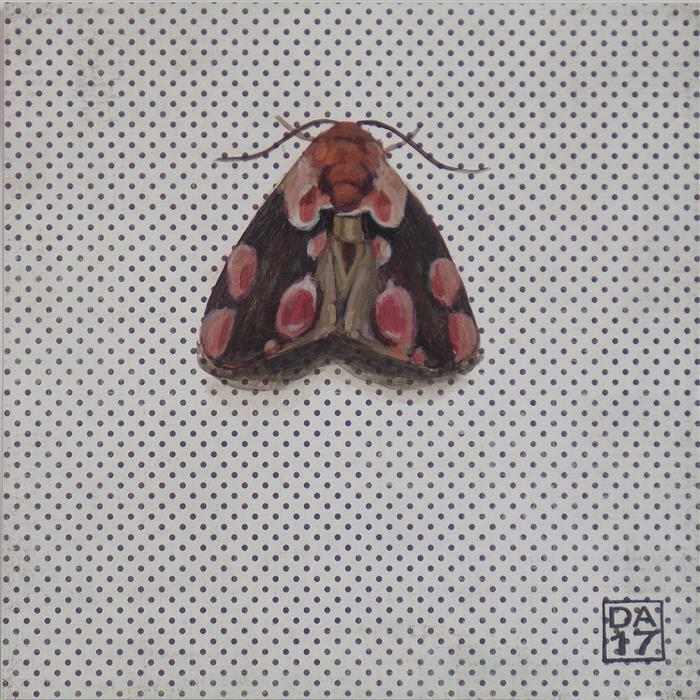 I chose each moth in this series by either it's coloration or it's name. 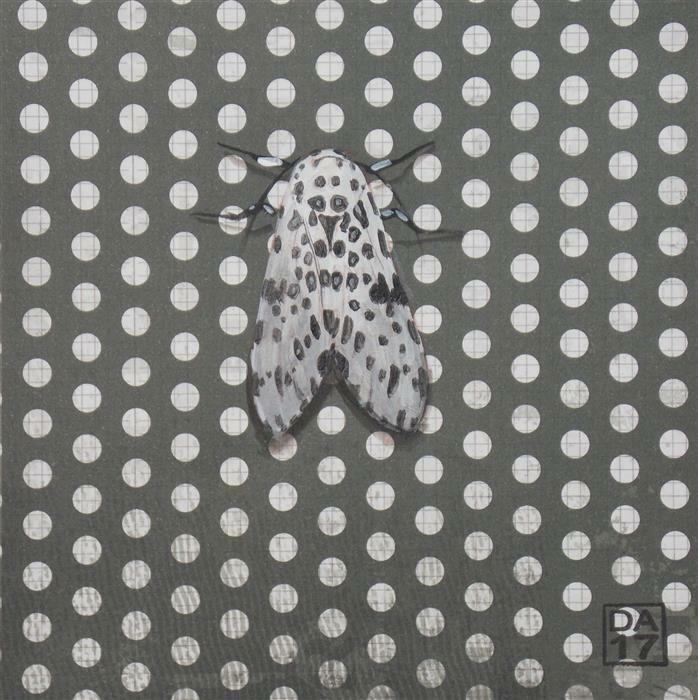 I wanted the contrast between the moth and the repetitive pattern of the paper, and a touch of dimension with a little shadowing under the insect. “I am, what one model once quipped, an overly educated artist,” jokes artist Dana Aldis. 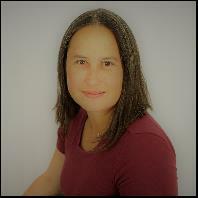 Her creative practice is grounded in a strong foundation in academic arts. Dana’s training is apparent in the very fine execution of detail seen in her work, plus her consideration of subject matter. 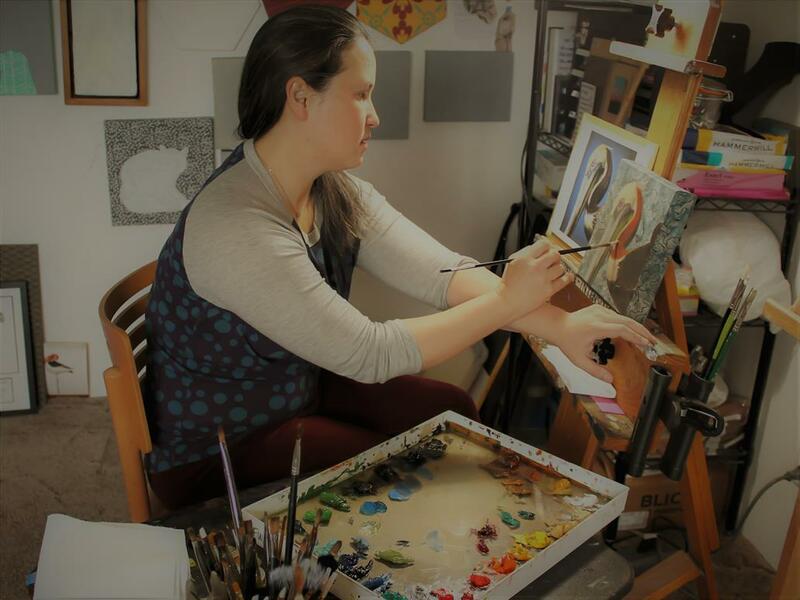 “I pay attention to the implied symbolism in the imagery I choose,” Dana says. 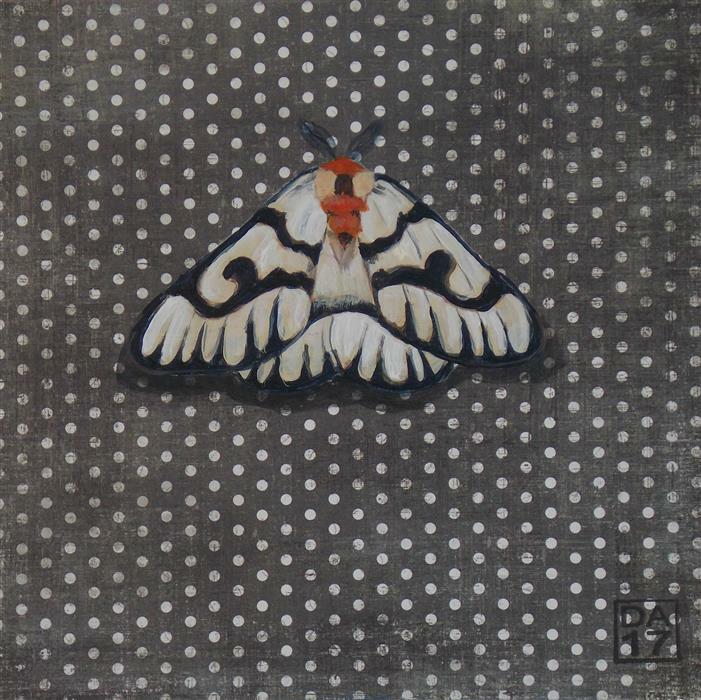 Moths, which are featured in her “30 September Moths” series, hold symbolic meaning across multiple cultures. 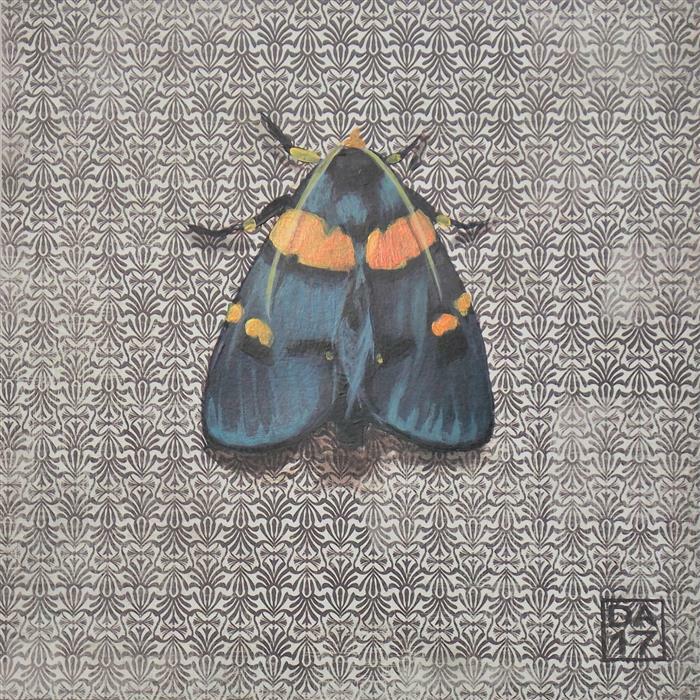 Each moth is rendered against a delicately painted background. 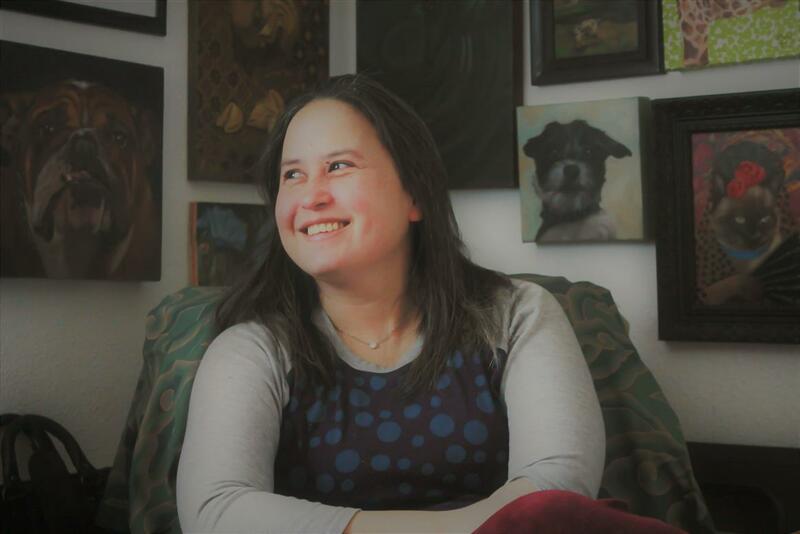 Dana draws inspiration for her patterns from art books and fabric shops. 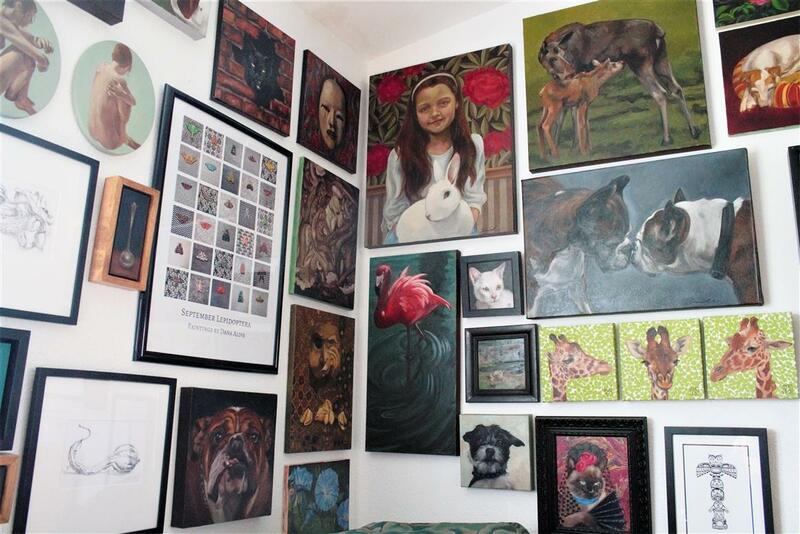 Ms. Aldis, I admire your moth paintings but wonder why so small? Did you do them larger in the past and they didn't sell? ; or did you decide to do them 6 x 6 from the get-go? Just curious.